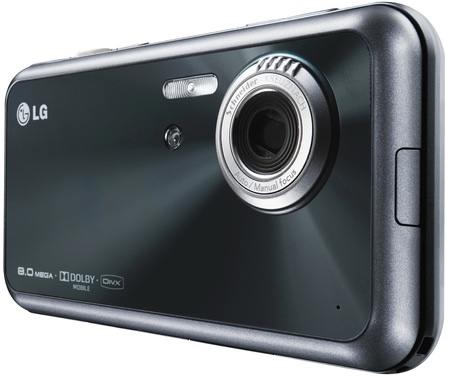 LG has taken the wraps off its superlative-laden eight-megapixel cameraphone, which it'll bring to Blighty next month. The LG-KC910 is not only the slimmest 8Mp cameraphone on the market, LG claimed, but it's also the first to sport a touchscreen interface. It's also the first with Dolby Mobile sound tech, the Korean company chirped. But it's the handset's photography credentials that LG was most keen to pitch today: the Schneider-Kreuznach certified optics; the xenon flash; the auto and manual focus mechanisms; the face-, smile- and even blink-detection. The KC910 will shoot slo-mo and speeded video thanks to the ability to record at anywhere from 5f/s to 120f/s. Not to fall behind the trend, the new phone has a built-in GPS pick-up and will assist that with network-transmitted triangulation data. A workout app uses the GPS to track your joggind sessions and tell you how many colories you've burned. 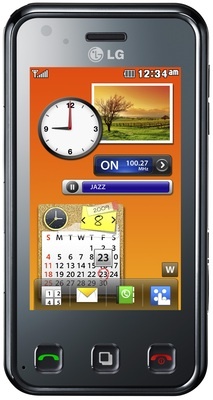 Oh, and it's a 3G phone with 7.2Mb/s HSDPA, and will play DivX and Xvid video, as wall as play all the popular music format. As we say, it'll hit the UK in October. LG didn't say how much it's likely to cost.